KS Teuta is the winner of the Supercup of Albania. 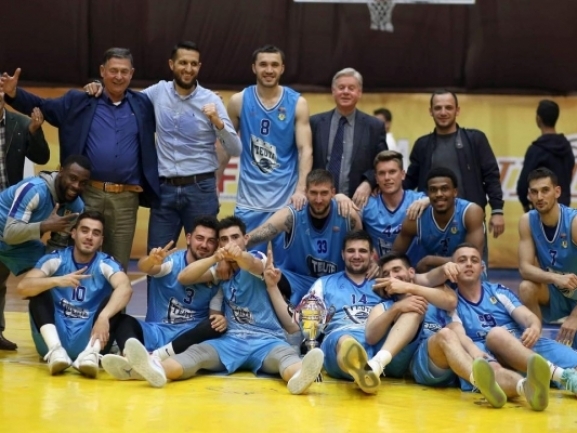 In the final the Durres team defeated SK Tirana 86-85 in a dramatic way. The hero for the winners was Kevin Brown who scored the go ahead triple at the buzzer. The first half was a close one but a 19-5 start to the second gave Tirana a 12-point advantage. Then the team managed to keep it and with 5 minutes to play the difference was 7. Teuta however didn′t stop fighting and closed the gap. The team was down and had just 0.7 seconds to shoot but it was enough for Brown to score and that won the game. Endrit Hysenagolli had a double-double for Teuta with 20 points and 11 reounds as Brown added 17 points.